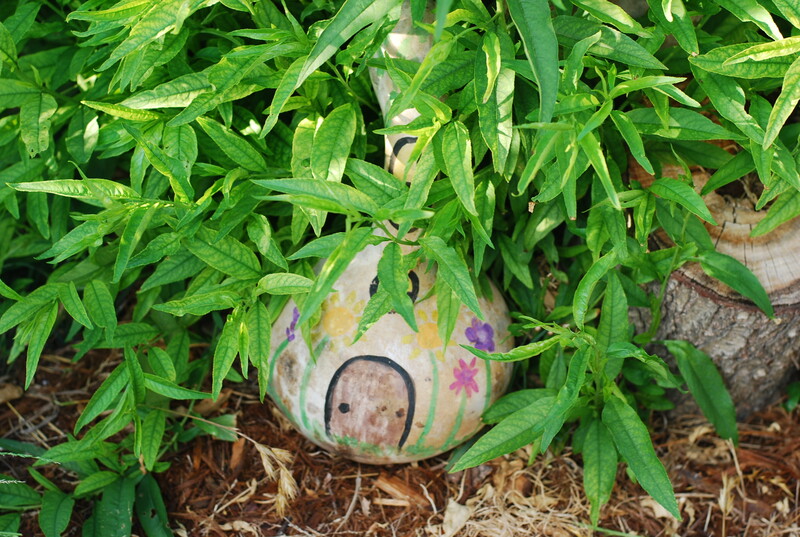 Fairy Gourd home, tucked in between some peach branches. Pumpkins, here, there and everywhere! 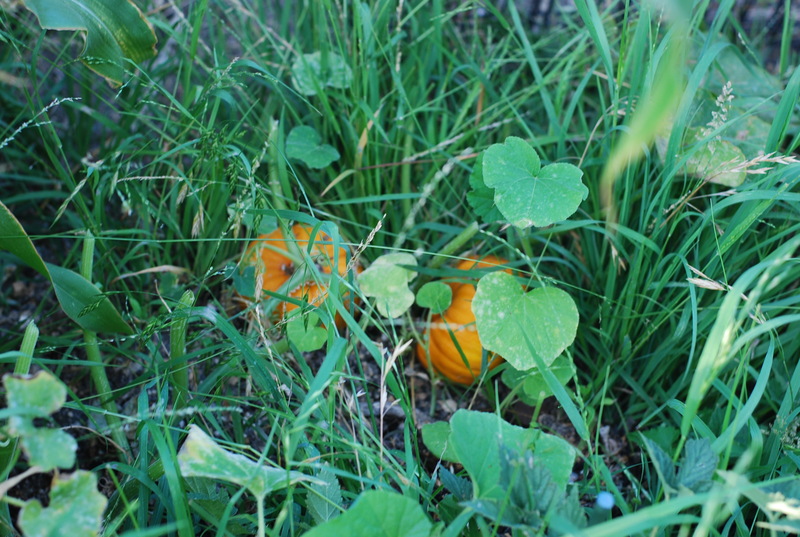 I’m so surprised at how well these little Jack be nimble pumpkins are growing. 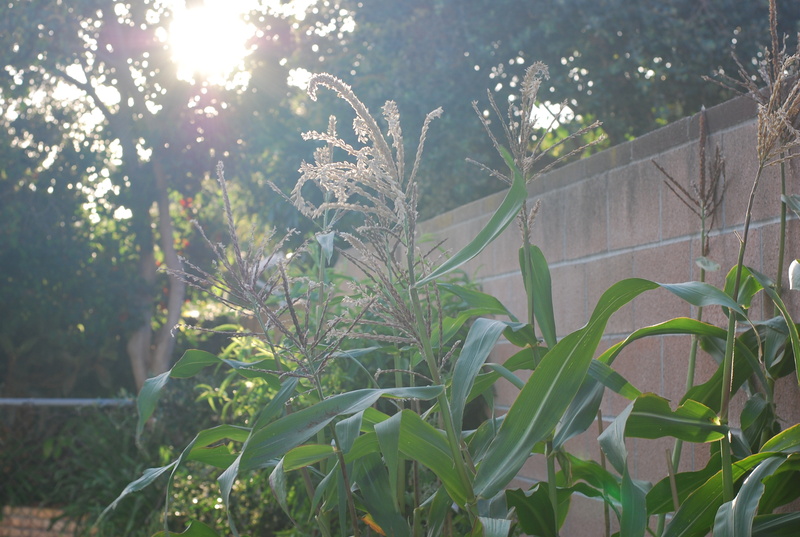 Corn in the afternoon light. We are having so much success with this little bunch of corn. 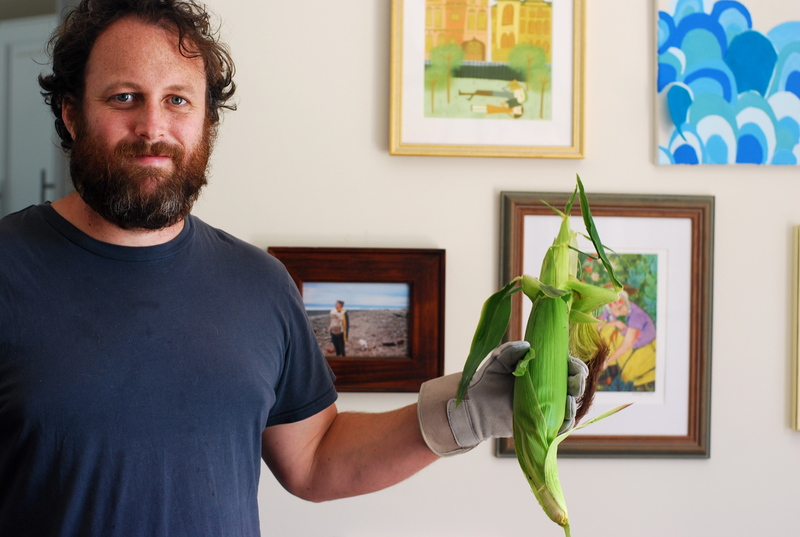 This week, Jeff picked our very first homegrown corn husk and we had a corn snack! 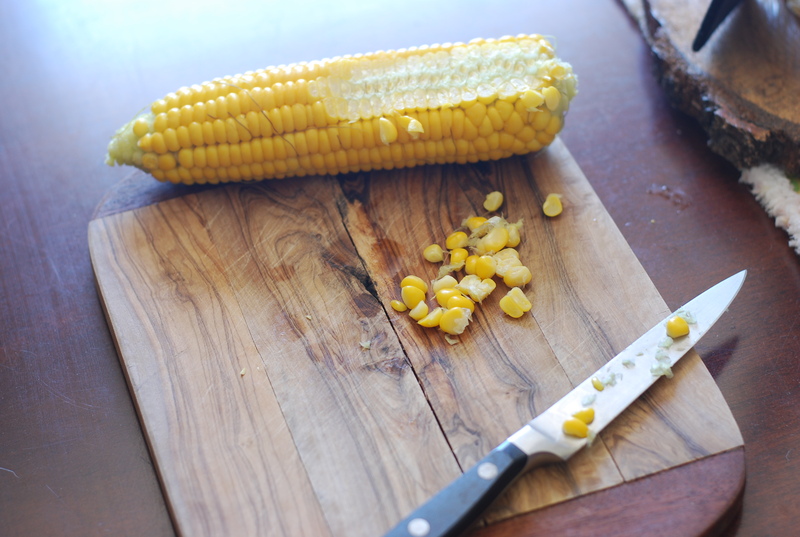 We boiled up the cob and Ellie, Jeff and I enjoyed some corn, from farm to table. 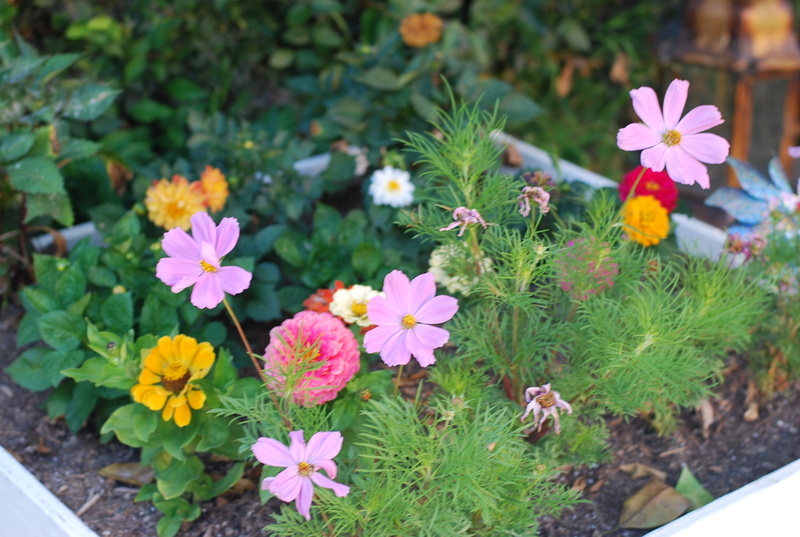 But can’t forget the flower garden (which needs a little more tending to). Or the lemon tree! We have a lot of lemons!! 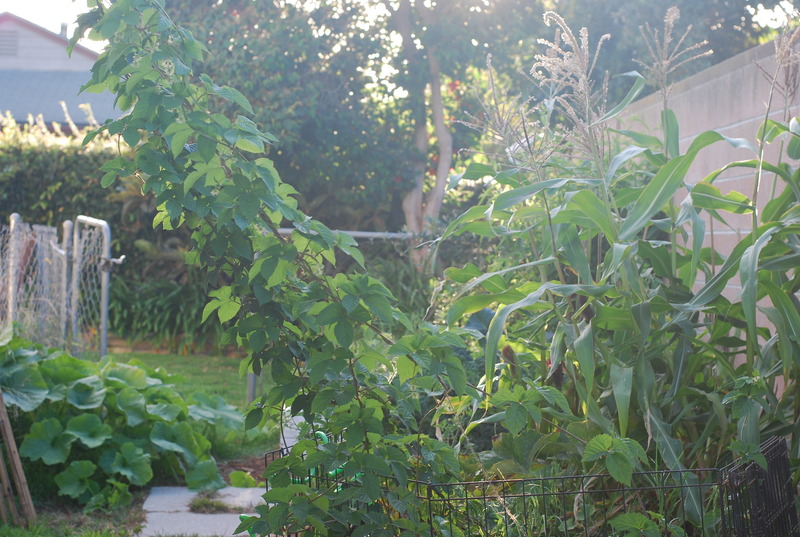 The July garden is lush and full of fruit. We’re still waiting on tomatoes to ripen, but we’ve pulled several lettuce plants out and I’ve planted more carrots (because the other ones did so well). It’s really neat watching this space evolve and grow. 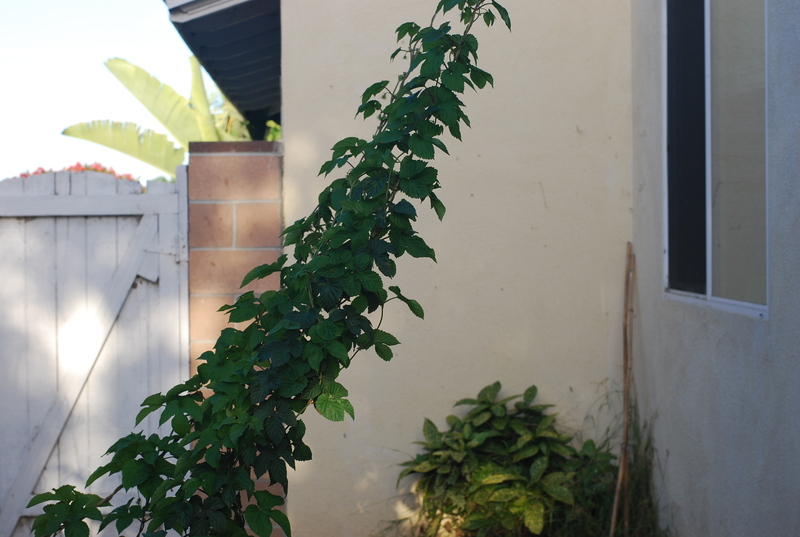 This entry was posted in gardening and tagged gardening, hops, july's garden 2014. Bookmark the permalink. Oh my goodness, what you have accomplished in the time you’ve been gardening and living there it’s remarkable. I’m envious, as it’s the kind of thing I always wanted to do but I chose to paint instead. I did however, grow a few cabbages (why I don’t know) and radishes, something else in Hilo and in the back of one of our many homes in St Augustine, just to have a garden. Tomatoes grew well here on our deck in a big pot for years but then not so great. That was the last of my gardening attempt. So proud of you and Jeff. Terrific! 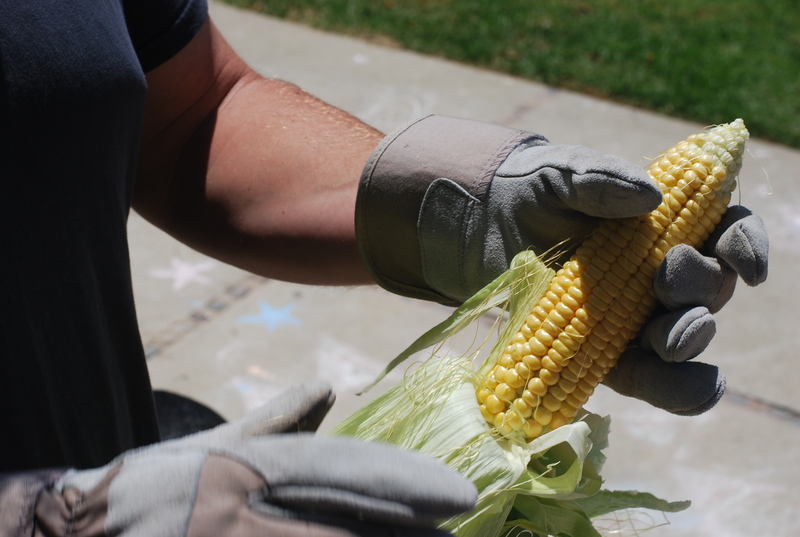 If you’ve got corn by now, you should have tomatoes. Do you have lots of green ones that aren’t turning red? Have you pinched the tops off? Go out and find the part that seems to be the center stem and just pinch off the top back to the highest branch. A few inches should do it and you’ll have red tomatoes! Looks wonderful! 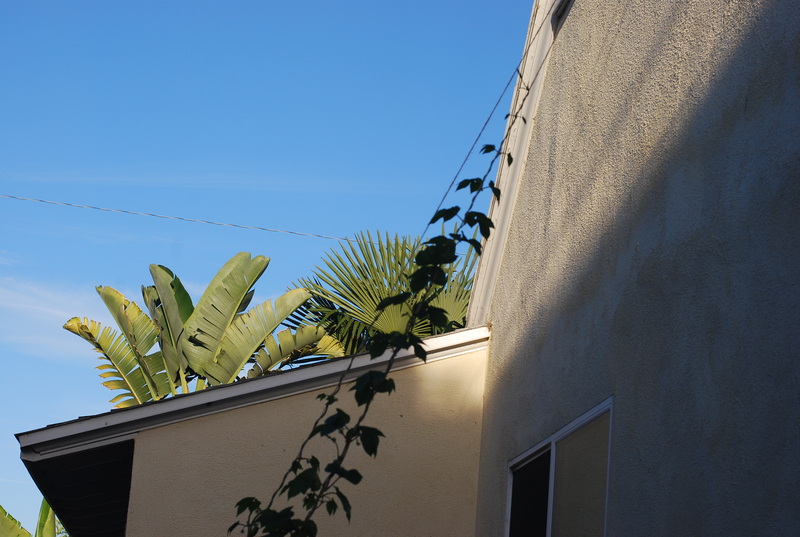 I am a little jealous of your lemon tree, what I wouldn’t give for that. Wish I could send you a barrel full Kim! Ditto! 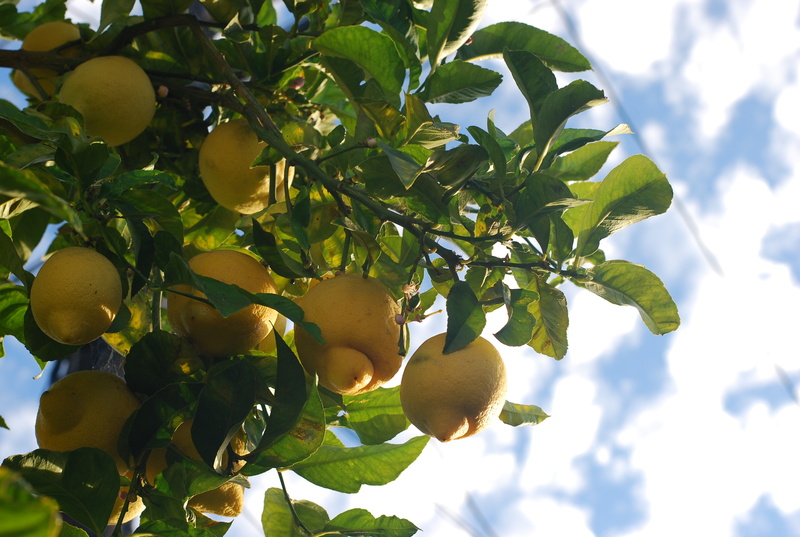 A lemon tree would be a dream!